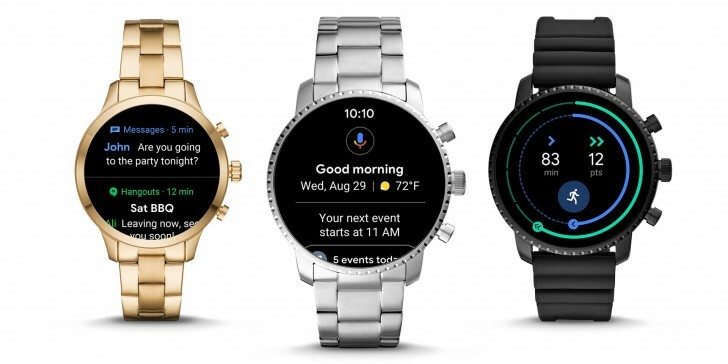 It’s been a month since Google announced the newest redesign of Wear OS (previously known as Android Wear). And today Wear OS 2.1 is finally starting to roll out to a smartwatch near you. It’s currently being pushed to all compatible wearables. If you’re wondering what those are, the list is huge – any device that was released after the announcement of Android Wear 2.0, and even those that got updated to Android Wear 2.0. It’s easier to list the wearables that won’t be getting the new update, and those are the LG G Watch, Samsung Gear Live, Moto 360 (1st gen), Sony Smartwatch 3, and the original Asus Zenwatch. Wear OS 2.1 changes the way you navigate around, with a swipe from the top accessing quick settings, and a swipe from the bottom taking you to your notifications. A swipe to the left will get you into Google Fit, while a swipe to the right brings up Google Assistant. This now also has proactive information in the vein of the Google Now / Google Feed / Google Discover cards (yes we’re already at three names and counting for that service). It’s unclear how long the rollout will take to reach all the watches in the wild, but given Google’s usual antics don’t expect it to be done anytime soon. So although the new version is finally on its way to you, some patience will still be required, unless you’re very lucky.